Vinyl comes with digital download card. 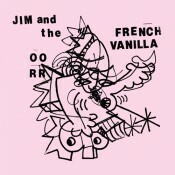 • Jim and the French Vanilla is the solo project of Jim Blaha of the Blind Shake. • One-time limited vinyl pressing of 100.